Jaime Dormer is an Australian Professional Photographer, current member of NPS, AIPP, IFPO, AFA & APS. he is located at Southport, South East Queensland, Jaime specialises in event, sports, nature, landscape & travel photography, his work has been published by various sporting, lifestyle & interest magazines, reports, brochures & newspapers as well as community & commercial websites, he is able to respond very quickly & efficiently to his clients needs and able to work around virtually any time table & location, wether it be out at sea, in the air or travelling to the outback or overseas. You can be certain that the end product image will be of the highest quality and standard as Jaime uses Nikon CX, DX & FX format cameras & as well as "top of the line" Phase One Medium Format cameras. Jaime's company "JDP Online Pty Ltd" carries all of the necessary industry insurances required to carry out his photography work as & when required, worldwide. 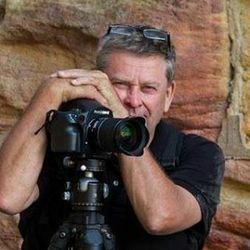 Over the years Jaime has gain industry recognition with numerous Australian & International awards as well as having photo stock in the National Geographic Archives. He has a very successful photography business and sells his limited & open edition images through his website, please feel free to browse and recommend, I look forward to meeting you, cheers. Whilst I enjoy all kinds of photography I prefer to specialise in landscapes, photographing all of the colours of nature early in the mornings and late into the evenings is a challenge that must be met if you want to get the scenes that people will respond too. As the famous Australian ledgend photographer Mr Ken Duncan states, the hardest thing about photography is getting out of bed!, so true.